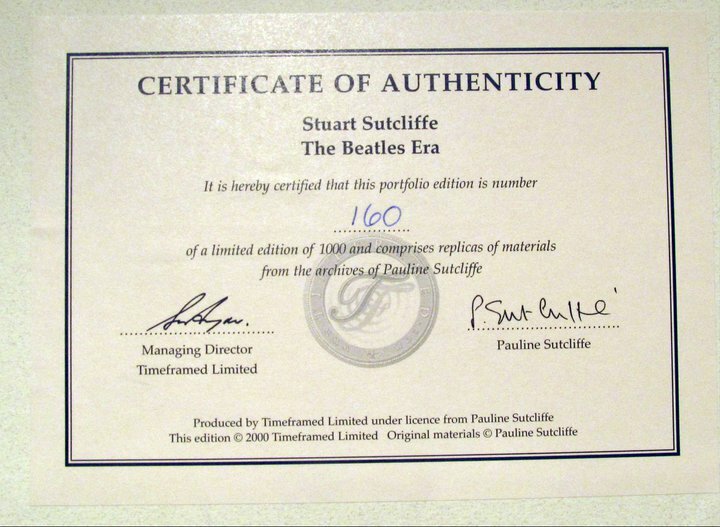 Stuart Sutcliffe was the bass player in the Beatles and best friends with John Lennon. 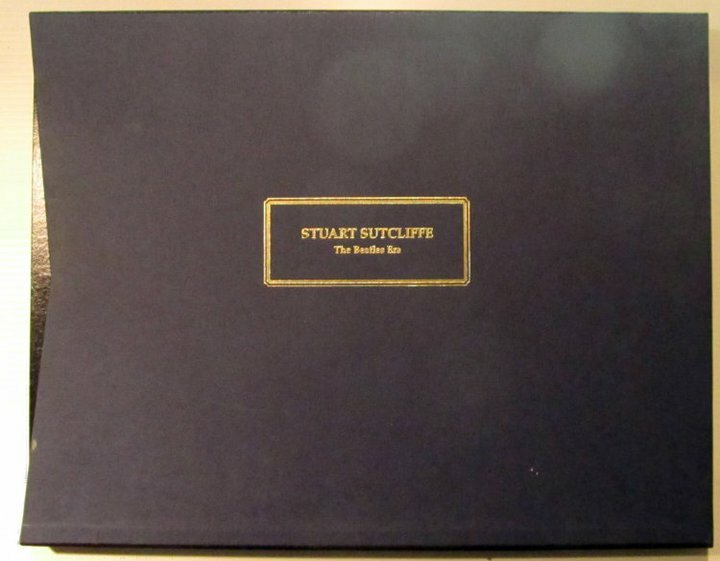 This large limited edition portfolio features several reproductions of memorabilia such as letters and sketches, as well as several photographs from the Early Beatles/Hamburg era. 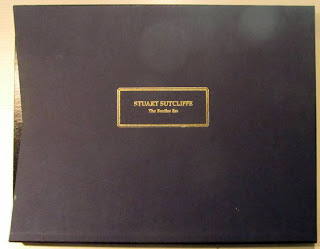 The portfolio is housed in a slip case and limited to 1,000 copies. 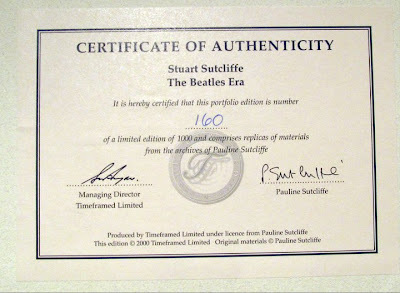 Each copy contains a numbered certificate of authenticity.